The acquisition has a cash value of $117 million, Logitech said, noting that it will allow "additional synergies related to our existing gaming, PC webcam and audio categories." The company already owns several prominent audio brands, namely Astro Gaming, Jaybird, and Ultimate Ears. Blue is promising that it will "keep creating cool stuff for professional musicians, gamers, podcasters, YouTubers, and streamers." 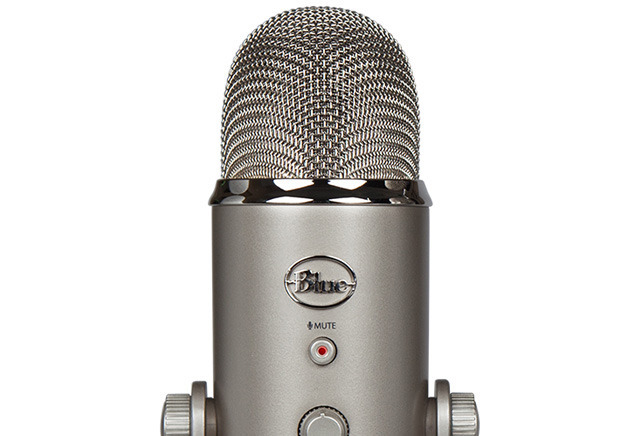 The outfit's Yeti and Snowball USB microphones are popular for enabling relatively high-quality recording at a reasonable price. Blue also sells XLR mics aimed strictly at professionals, the most expensive of which — the Bottle — costs $3,999.99. Others mics like the Raspberry can be used with iPhones and iPads. Plans for the XLR gear are unknown in light of Logitech's focus on computers, consoles, and mobile devices. It has typically allowed its audio brands to stay on the same track, keeping their names, existing products, and separate websites. Logitech's resources could make Blue products more ubiquitous, and carry over some technology to other lines.